Well, I survived my first day back after break. Did anyone else go back today? If you did, did you have HORRIBLE attendance? One of the teachers in my grade had twelve kids absent today! Twelve! I guess parents decided since it was a federal holiday, there was no need to send their kiddos to school. We also had an unexpected light snow that made roads slippery around the time elementary buses were running and apparently some buses couldn't run their routes. Things like that can only happen on a Monday. However, once I got home, I got some fantastic news. I was one of the winners from Kristin's 1000 Followers Giveaway. I'm so, so excited! I'm not just saying this because I won her giveaway but if you aren't following A Teeny Tiny Teacher now, you should. Her posts always put a smile on my face. Another blog I love is Ginger Snaps Treats for Teachers. Ginger is so creative and even has some of the cutest digital art available in her new Etsy shop. I can't wait to purchase some of her adorable digital frames. They will be perfect for the winter unit I am currently working on for my class. One of the my favorite management tools, actually came from Ginger's post on easy partner grouping. However, being the Smartboard junkie that I am, I tweaked her chart into a Smartboard file, so I could easily manipulate students' names and use it all year long. When closing the file, I just make sure to NOT save my changes so then next time I open the file, it's clean and new. 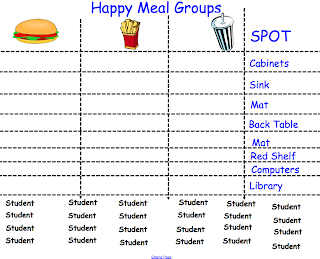 I use the Happy Meal Groups below for my partner groups of three and the Milk and Cookie Groups for groups of two. I LOVE this and so do my students because not only do my students know who their partner is, they know where to complete their work. This cuts down on transition time tremendously, making my students more productive and efficient. Besides, they always get a kick out of who is the milk or who is the cookie, etc in their partner group. Even my principal giggled when I pulled this file up during my observation. Since this is a Smartboard file, I have upload it to my Teacher's Pay Teacher's store, as I can not upload it to Google Docs. 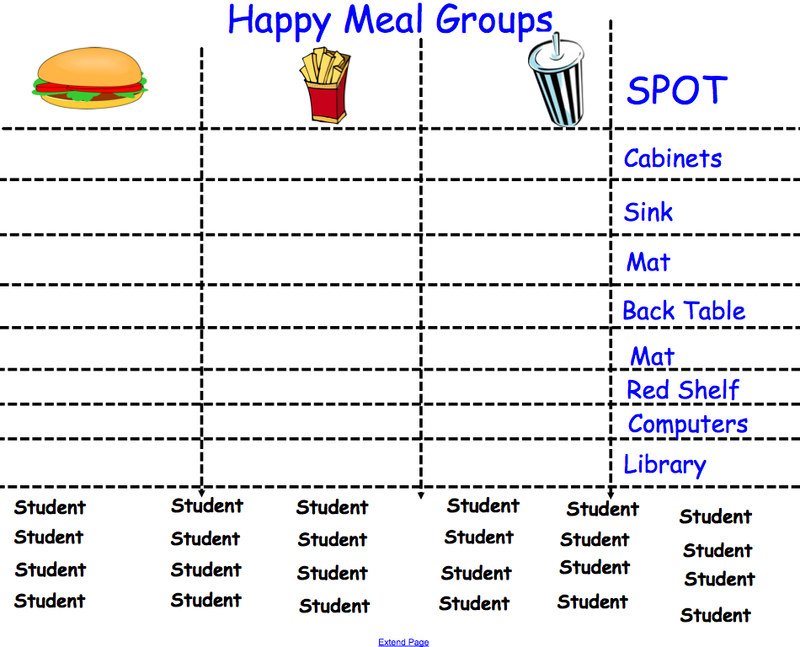 All you need to do is download it and fill in your student's names where it says students and change the spots to what works best for you and your classroom. You can easily delete spots and extra student names by using the cut feature. Click here to get your own FREE copy! If you would be so, so, so kind, let me know in a comment below if you downloaded your freebie and what you think of it. :) It's quickly become one of my favorite classroom management tools and I hope you can use it too. Why didn't I think of that!? lol Such a good idea! HI! New Follower! Very cute idea, I don't have a smart board but I think I could just recreate this and use magnet names on the white board, or laminate and write in their student numbers? Love your blog! Hey there...new follower here! So excited I found another 2nd grade blogger! @ Sugar Foot, you could also set up something similar in a pocket chart as well. 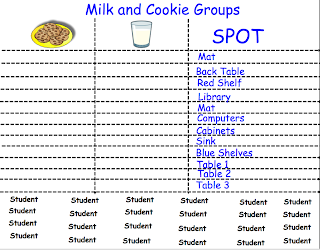 :) I used to do something similar to the above chart before I got my Smartboard with a pocket chart. 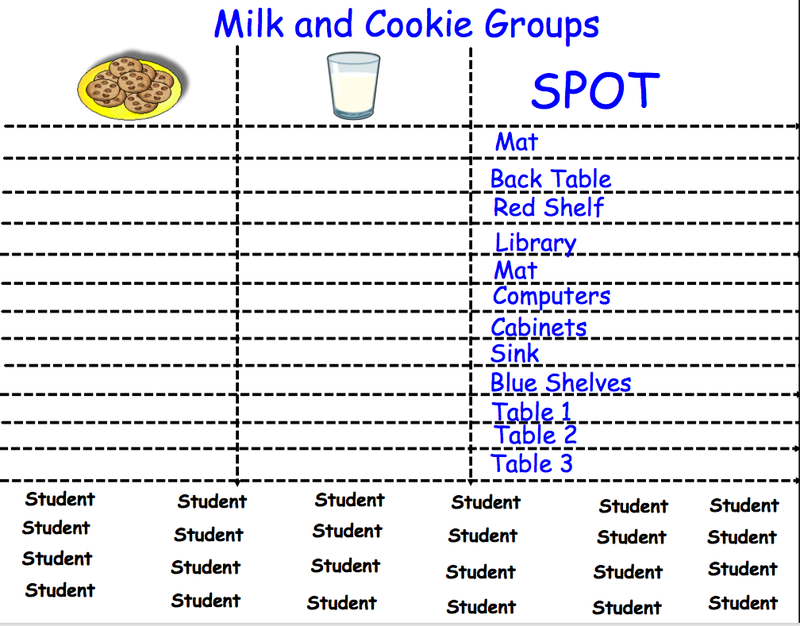 Love the grouping idea! So creative and fun! Cause and Effect and Nouns! It's Finally, Winter and a Freebie! Lesson Plans and Anchor Charts, Oh My!